Departure time is 8.30 pm every day. This evening cruise departs all year round but is particularly pleasant on warm summer evenings or during the December to January Amsterdam Light Festival. We are comparing Amsterdam Evening Canal Cruise with 4-Course Dinner and Drinks Prices from leading ticket suppliers and Try to find you Cheap tickets prices on the market. Enjoy a romantic evening for two, floating through Amsterdam's magical canals in a candlelit, glass riverboat while sipping from a glass of wine or a cool beer. This 1.5 to 2 hour cruise will take you alongside waterside boathouses, stunning architecture and beautifully illuminated bridges, so you'll have the chance to see some of Amsterdam's most famous landmarks in the Historical City Centre, and in the company of your special someone. Choose to sit back and relax, watching the evening lights reflect off the water, or learn about the city's historical and modern neighborhoods from your onboard guide. This evening cruise isn't just for couples because friends and families can also enjoy this marvellous experience and soft drinks are available. Couples of all ages love this romantic candlelit cruise through historic Amsterdam. But the tour is not restricted to couples. Friends and families can also enjoy sharing local foods and learning about the city's history. Your Experience With Amsterdam Evening Canal Cruise with 4-Course Dinner and Drinks? Combine romance, fine dining and sightseeing with an evening riverboat canal cruise along Amsterdam's scenic waterways. See Amsterdam's glittering canal belt by night while enjoying unlimited local wines, beers and soft drinks accompanied by delicious Dutch cheeses. Learn about the history of the city from an onboard guide or relax as you drift under famous bridges and past grand 17th century buildings. What Amsterdam Evening Canal Cruise with 4-Course Dinner and Drinks Includes? Unlimited wine, beer or soft drink, plus a platter of Dutch cheeses and charcuterie. Unbiased comparison of Amsterdam's Best City Passes /Discounts Cards(I Amsterdam City Card, Holland Pass, Amsterdam City Pass, Amsterdam Travel Ticket) based extensive research, Tripindicator team came up with comprehensive recommendations of Amsterdam City Passes for Family with kids, Couples and Single travelers which helps you choosing Best Amsterdam City Pass suitable for your travel. Unbiased comparison of Amsterdam's Best Hop-on Hop-off Sightseeing Tours operators(Amsterdam Hop-On Hop-Off Canal Boat tour, Amsterdam Bus tour + Canal boat Cruise) based extensive research, Tripindicator team came up with comprehensive recommendations of Roem Hop-on Hop-off Tours for Family with kids, Couples and Single travelers which helps you choosing Best Amsterdam Hop-on Hop-off Sightseeing Tour suitable for your travel. You will get discounted tickets to this cruise with the I Amsterdam Card. 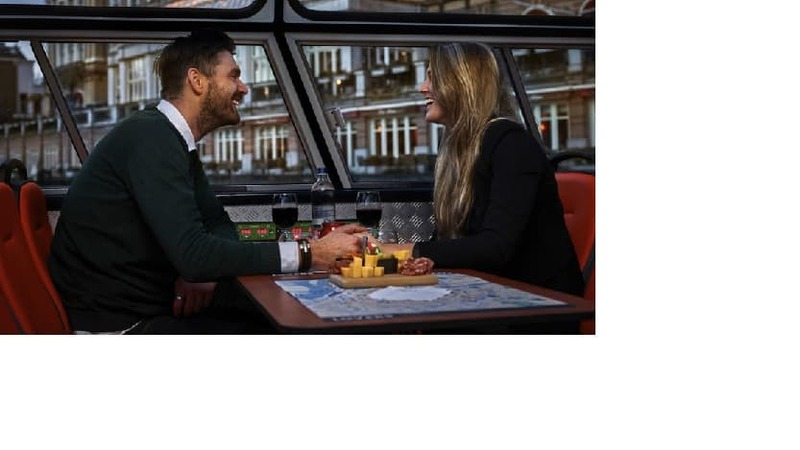 Travelers Reviews about Amsterdam Evening Canal Cruise with 4-Course Dinner and Drinks? This candlelit cruise has 4.5 out of 5-star ratings on TripAdvisor, Viator and Get Your Guide. Travellers agree that this is a beautiful evening tour with lovely city views. Comments agree that the tour is a fun and cosy experience. Reviews praise the waiting staff and recommend the cheeses and wines. Cancellation fees may apply and some tickets are non-refundable, please check with tour supplier. Minimum age is 18, you may be asked for ID. Surcharges apply during the Amsterdam Light Festival.